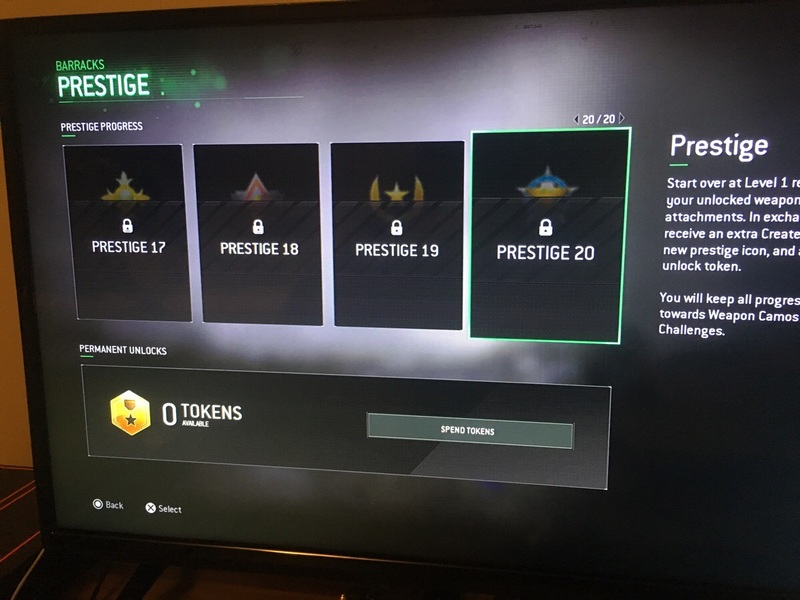 20 Prestige's confirmed and 1000 Level's? Getting that max prestige just got a little harder. 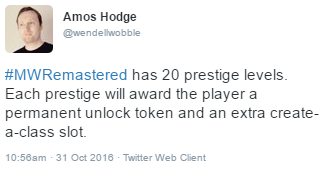 What are your thoughts on 20 Prestige's???? Will the last 20 Prestige icon's look similar to the first 10? The iconic 10th prestige cross.... Ahh the memories. I was unable to find actual confirmation on the 1000 Level's... however it has been widely speculated that there was a player card found that was earned by reaching Level 1000. Which means there is a MAX PRESTIGE, and then ANOTHER 1000 level's to go up. INSANE! Just like Black ops 3 System. What are your guys' thoughts on all of this?? So much for being just a remastered. 5 classes and 10 prestiges was more than enough. Don't think that was necessary to be honest but hey, the more the merrier. 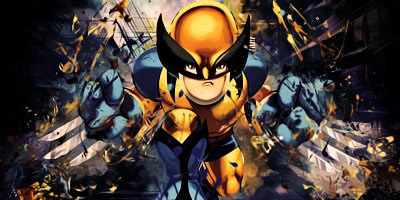 There is like 10 weapons in the game, max. Obviously I'm lying.